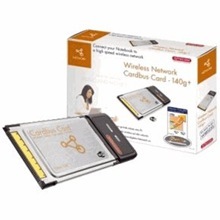 By installing this Wireless Network Cardbus Card in your Notebook, you can connect your Notebook directly to a Wireless Network. This makes it possible for you to exchange data between computers over a wireless connection, share peripheral equipment and make a wireless connection to the Internet from anywhere in or around your home! The latest generation of Nitro XM Wireless Network products from Sitecom has an extremely high throughput speed which is twice as high as the current 802.11g standard. The Nitro XM standard is completely and automatically compatible with other Wireless standards which work at the 2.4 GHz frequency, so you don’t have to change any settings. Tips: note the Sitecom WL-140 hardware version. Download Sitecom WL-140 (V1) Windows 98SE/ME/2000/XP Drivers, Utility. Only for devices with MAC address starting with 00-0C-F6.